In an incident that will send chills down your spine, a 15-year-old boy Hyderabad boy, was kidnapped and murdered even before the ransom call was made to his parents. 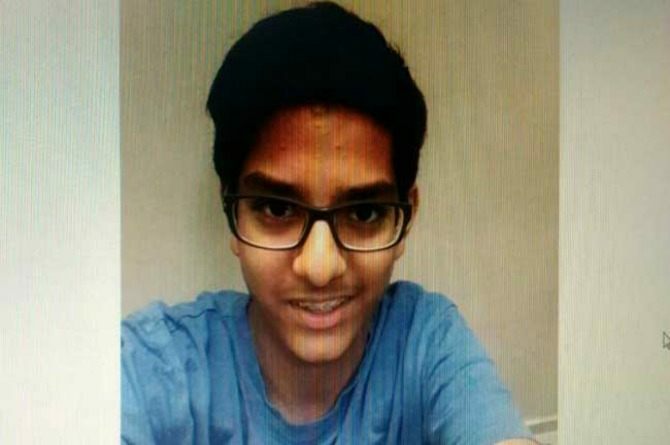 Abhay Modani, who was a class 10 student, left home on Wednesday (March 16, 2016). He was heading to a tiffin shop, when later that night, somebody smothered him and tightly bound him with rope. In fact, the kidnappers somehow stuffed Modani in a TV package box. A leading media organisation reported that one of the kidnappers who called Modani's businessman father Raj Kumar, was known to the family and called them with a chilling opening line: "I am kidnapper speaking." Unfortunately, the police believe that Modani was long dead by the time the ransom call came to the family. That did not stop the kidnappers from demanding Rs 10 crore as ransom. They even negotiated with Kumar until they were promised half that amount. Kumar, who who runs a scrap recycling company in Hyderabad, told the kidnappers that he only had around Rs 10 lakh and some gold lying in the house. However, the kidnapper allegedly accused him of lying but finally agreed to settle for Rs 5 crores. In a few hours, however, the police realised that the teen was perhaps, dead. The boy was last seen by his parents when he left home around 4.50 pm and has a twin brother, Akshay. In CCTV visuals, Modani is seen riding behind one of his alleged kidnappers - a man called Sai. He was allegedly working in a house next to Modani's till six months ago. The police traced the ransom call to Secunderabad, the twin city if Hyderabad. In fact, the CCTV visuals from a Secunderabad station showed someone dumping a box by a road. The real motive behind the kidnapping and the murder remains to be a mystery and is being investigated by the police. They have now announced the reward of Rs 1 lakh for information about the killers. In 2011, the India's National Human Rights Commission estimated that 60,000 Indian children go missing nationwide every year. Sadly, in 2008, there were 1,233 cases in Delhi itself; and by 2012 that had soared to 2,975. In the first three months of 2011, 802 cases were registered.